Loss of cognitive function and memory can happen as people age, especially if they suffer from an illness such as dementia or Alzheimer's. In addition to health-related senior care services, you can also find ways to have fun with older adults. Memory matching: This is a simple yet useful and fun card game to play with patients. For this, you'll have cards with pictures on them that you place photo-down on a table. The senior will flip over cards and must remember where certain pictures are in order to find its match. Go Fish: Patients may recall this as a favorite game from their childhood, and it's another simple yet effective brain-booster as well. With Go Fish, seniors must try to remember and keep track of what cards you hold in order to create matches for their hand. Gin rummy: Another favorite game of your patient may gin rummy. 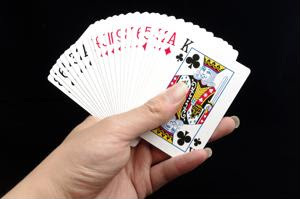 In this game, the objective is to collect a hand of cards that creates sets (three to four cards of the same number) or runs ( cards in consecutive order from the same suit). Gin rummy requires some strategy and memory, which is a great for keeping older adults' brains active.